HERNANDO COUNTY, Fla. -- A Lake County, Florida man died from a bacteria more than a week ago and there is still no warning from the health department, WTSP in Tampa reports. year-old son, Cason Yeager, contracted the Vibrio Vulnificus. Now, she wants to put a warning out to everyone even a healthy man can fall victim to this bacterium. "This has been a nightmare for me. Let me tell you and nobody should have to go through this," said Karen Yeager, victim's mother. Yeager died on June 16, but his doctor at The Villages Regional Hospital didn't sign the death certificate until June 23 -- a full week later. "He coded out again and then they worked on him for about 45 minutes and they could not bring him back," Yeager said. Now, it's up to the state to notify the public. 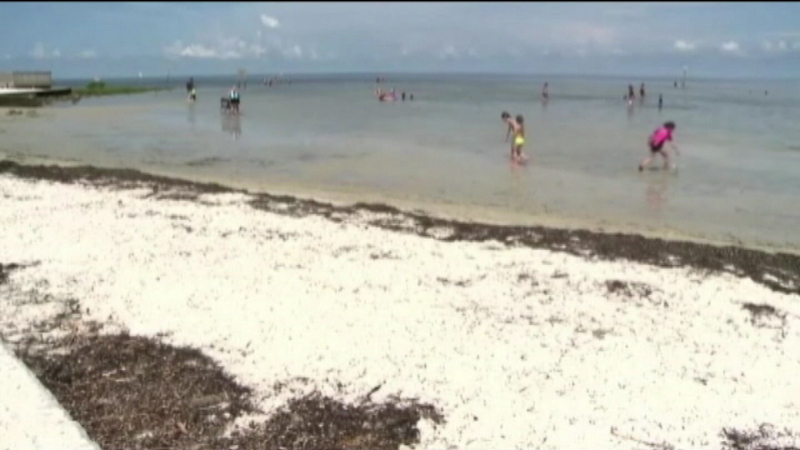 Swimmers at Pine Island Beach feel a warning should have come sooner. "I think it's sad. I think it's very irresponsible," said Harold Young, a Pine Island swimmer. "It should happen immediately they should tell the people what's going on. They have the right to know," said Janice Cobb, a Pine Island swimmer. wants people to be aware of the dangers in the water. "I'm not telling anyone, 'don't go into the water,' just do your due diligence and make sure that you're not going to harm yourself," Yeager said.